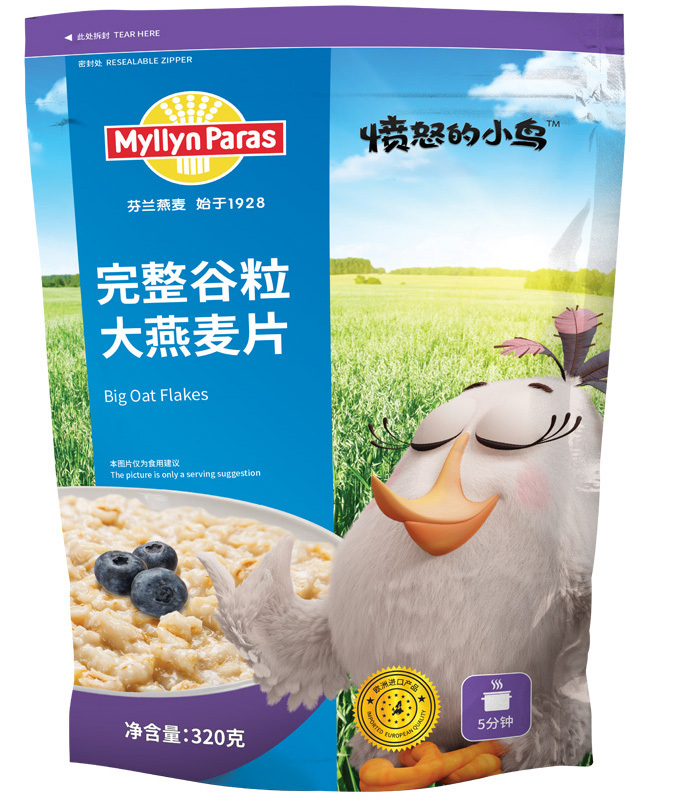 Myllyn Paras Big Oat Flakes is for people who love maximum texture from their oat flakes. Finland is known to produce large oat flakes due to its unique growing conditions. 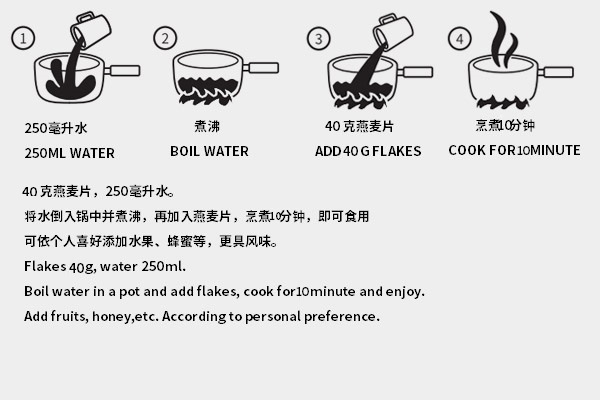 The cooking time for the Big Oat Flakes is five minutes after which your porridge is ready to be enjoyed. We use high quality oats that are cleaned, steamed, flattened, and packed in airtight packages in the clean Finnish environment. Store in dry and cool place, should not be exposed to strong odors. Product should be used within 18 months of production. No added sugars, a source of fiber, contains Beta-glucan. Myllyn Paras China Co., Ltd.